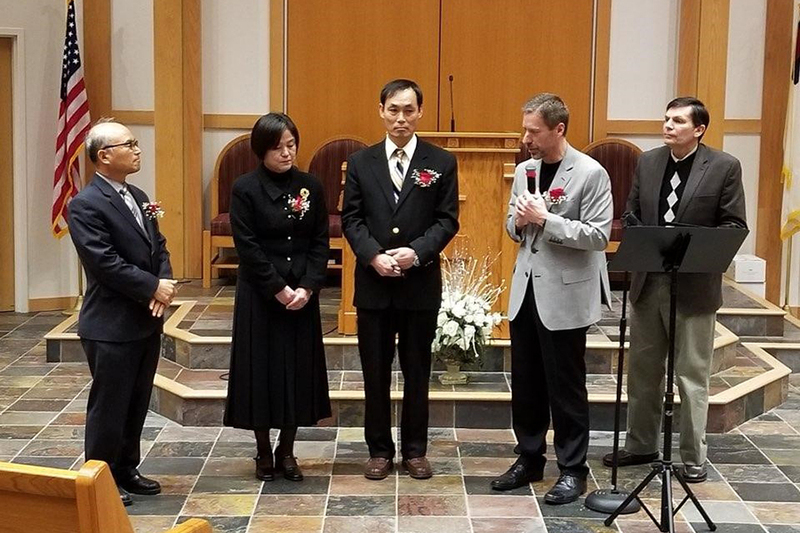 January 19: Michael Yang (center), accompanied by his wife, Hyun "Sarah," is ordained as an elder. 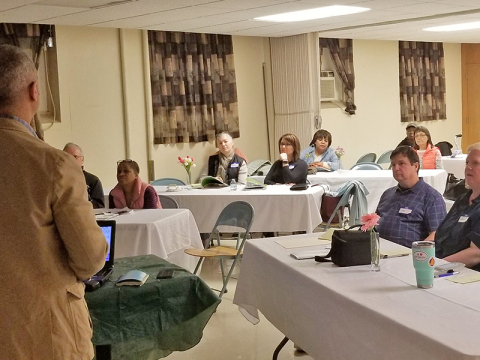 Also pictured (left to right) are Elder Yong Park, West County Church Pastor Ken Olin, and West County Church Deacon Paul Moore. 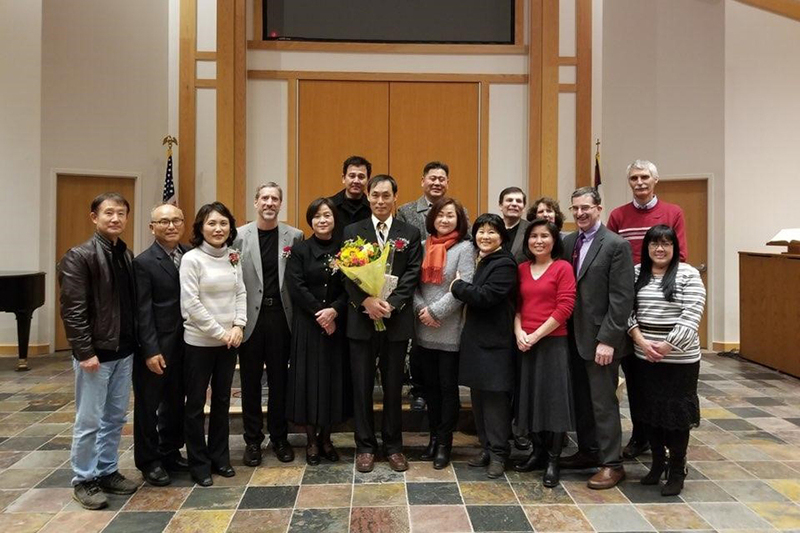 Members from the West County Church join with members of the St. Louis Korean Church in support of newly ordained elder Michael Yang (center). 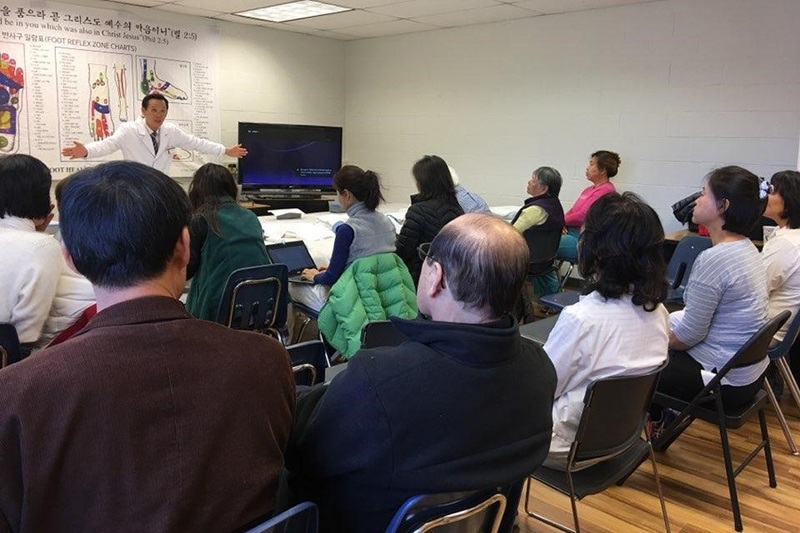 February 23-17: Elder Sunkyu Nam, from Seoul, Korea, presents a 5-day Foot Health/Massage training program. 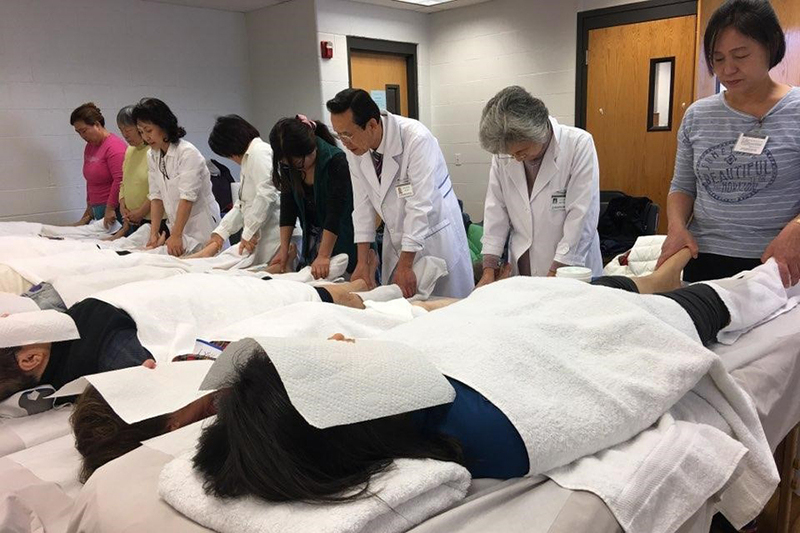 Elder Nam (center) demonstrates proper foot massage techniques. 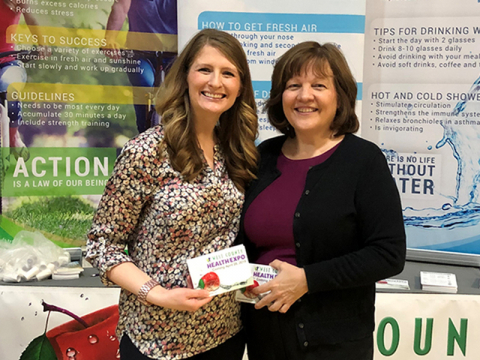 March 3-8: Hue Kim teaches a NEWSTART Lifestyle Program based on the eight fundamental principles for optimum health: Nutrition, Exercise, Water, Sunlight, Temperance, Air, Rest and Trust. 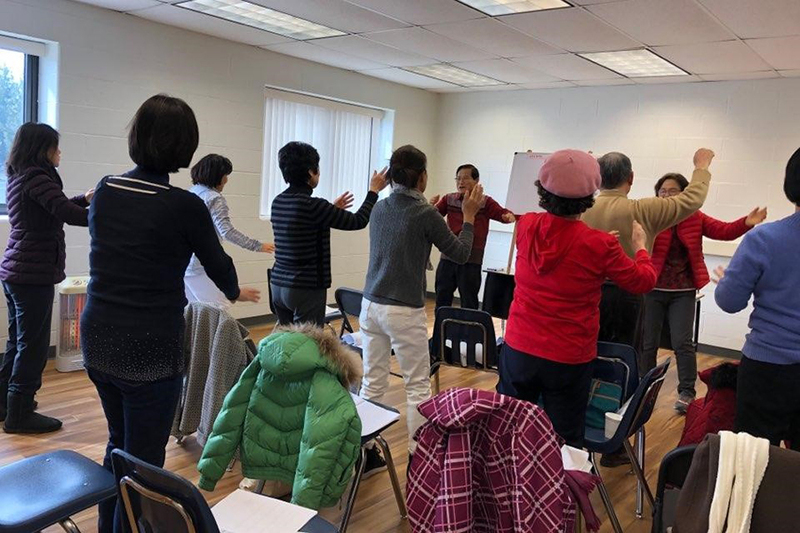 Participants in the NEWSTART Lifestyle Program get some exercise. 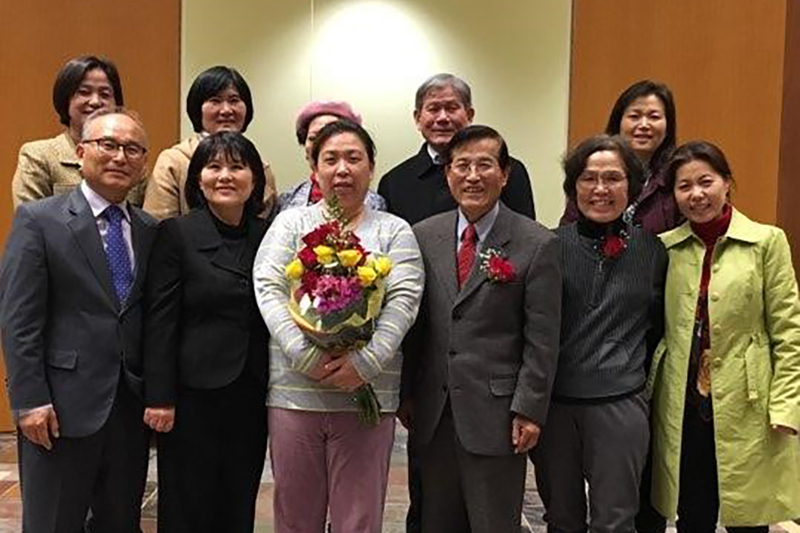 March 9: Newly baptized member Grace Lee is presented with flowers and surrounded by friends and members. 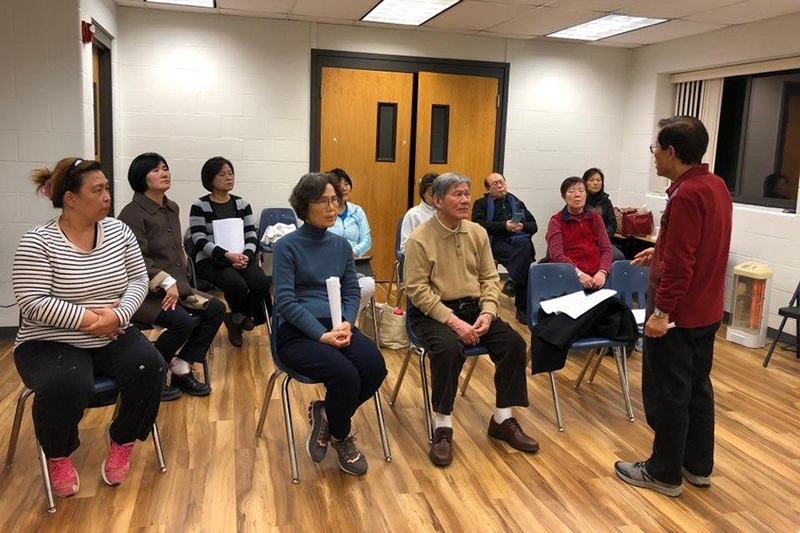 The St. Louis Korean Church meets at the West County Church, so we have frequent opportunities to witness and participate in their activities. 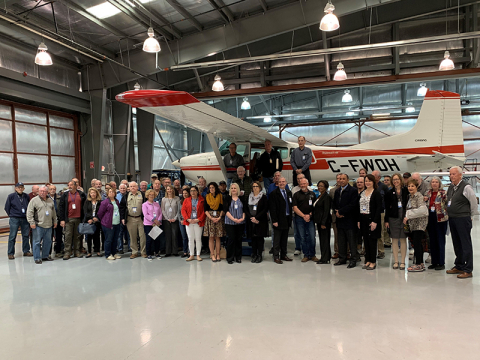 Click through the slideshow above for a brief summary of what they’ve been up to so far in 2019.